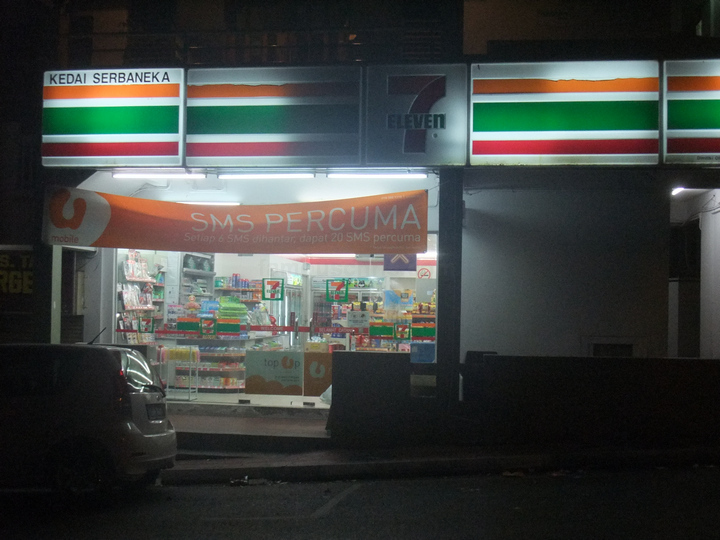 06.20 am – Woke up and walked to the nearby 7-Eleven for breakfast. 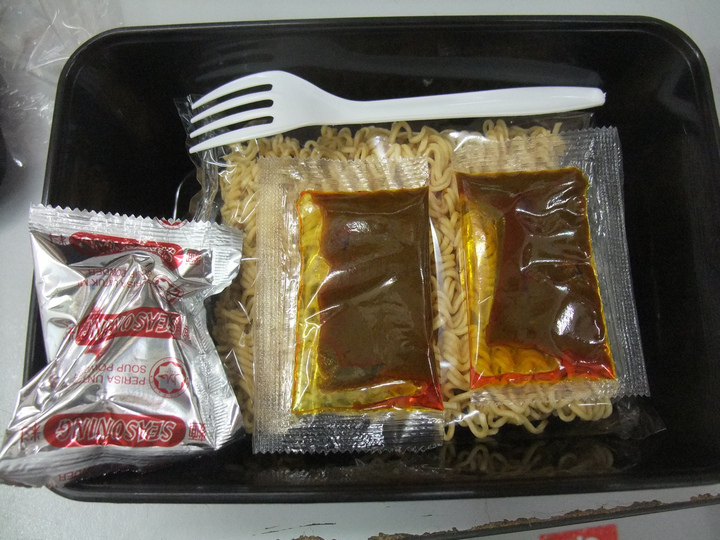 Bought a Maggi Hot Cup and a Lee Fah Mealbox. 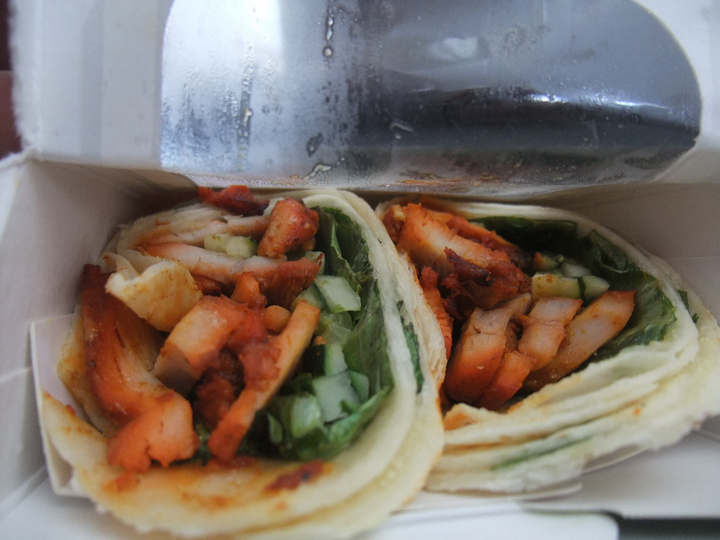 This is what a Lee Fah Mealbox looks like inside. 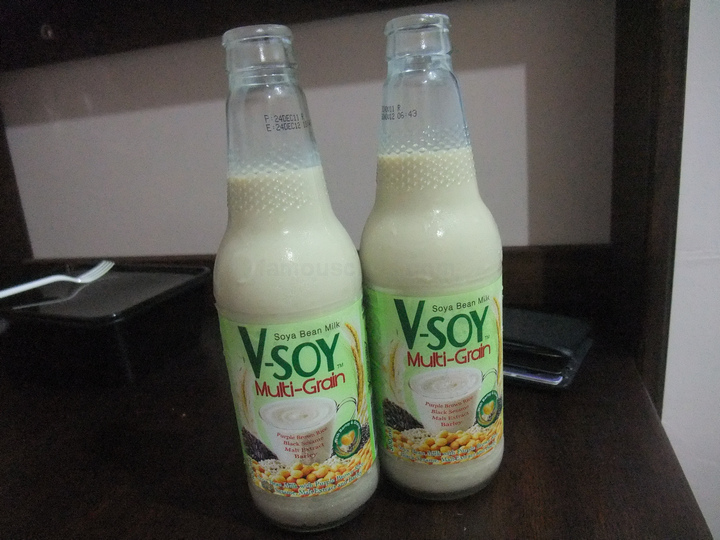 2 bottles of v-soy for Vivian and I. 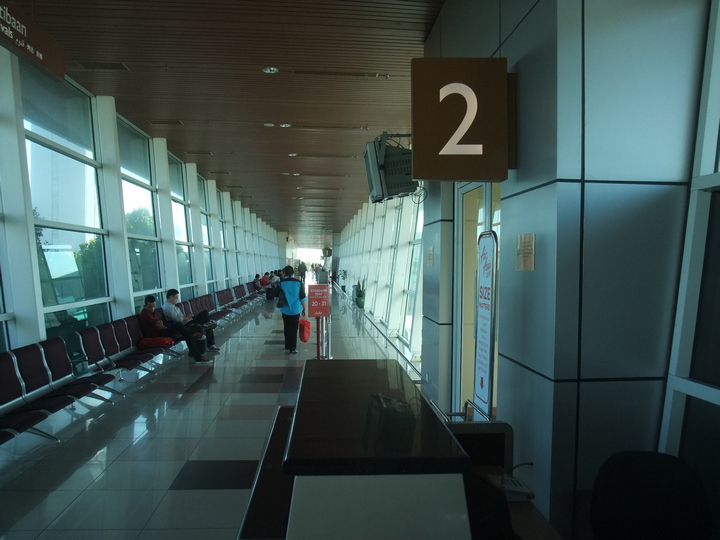 08.05 am – Arrived at Kuching International Airport, the 4th busiest airport in Malaysia after KL, KK and Penang. 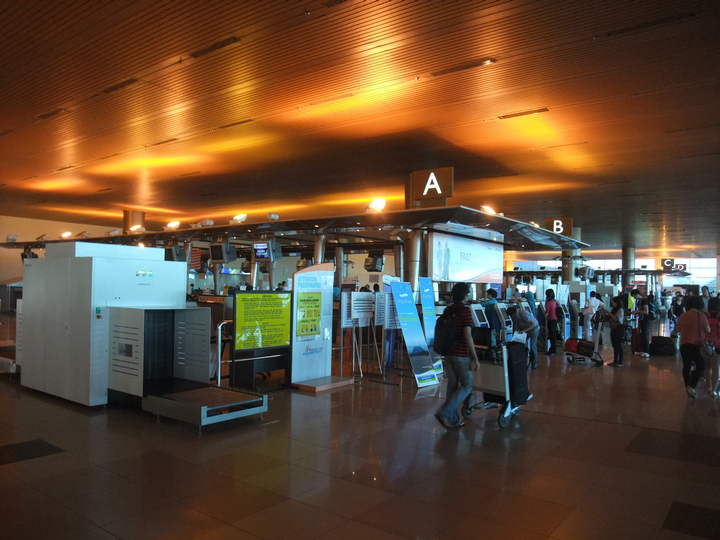 The ugly looking lights by the check in counters at the departure hall. 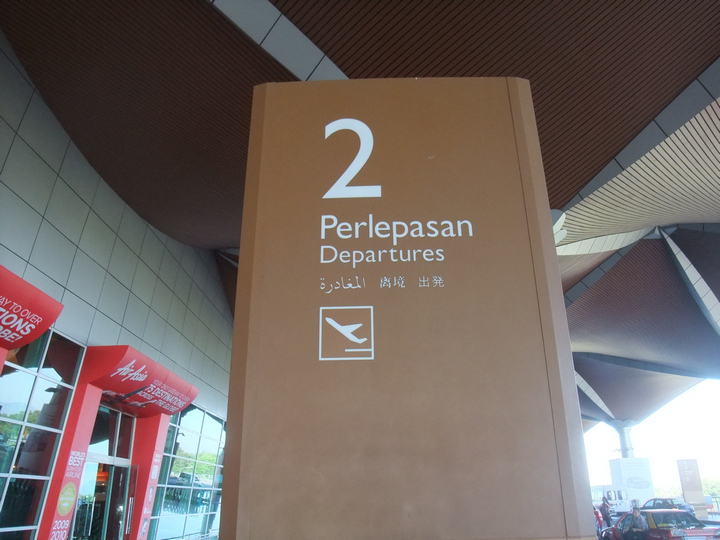 08.19 am – Arrived at departure gate no.2 for our flight back to Penang. 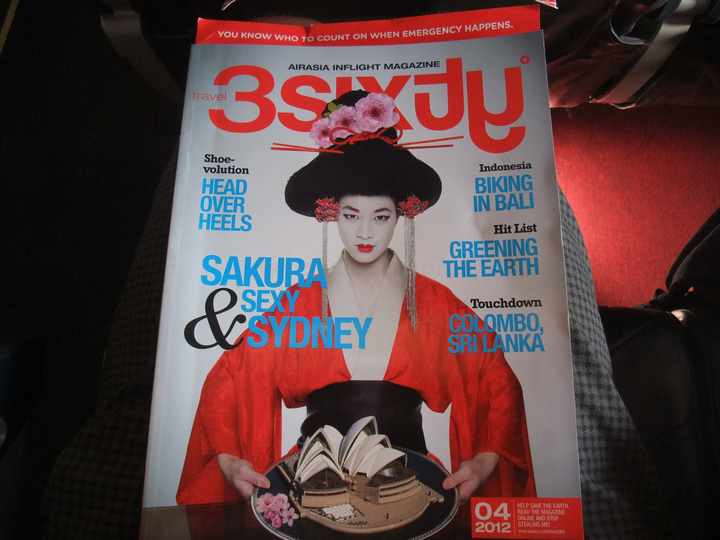 09.17 am – Although I traveled to Kuching for only 3 days, I managed to read both March and April’s issue of Travel 3Sixty. That’s because my departure date fell on the 31st of March whereas my return date was on 2nd April. 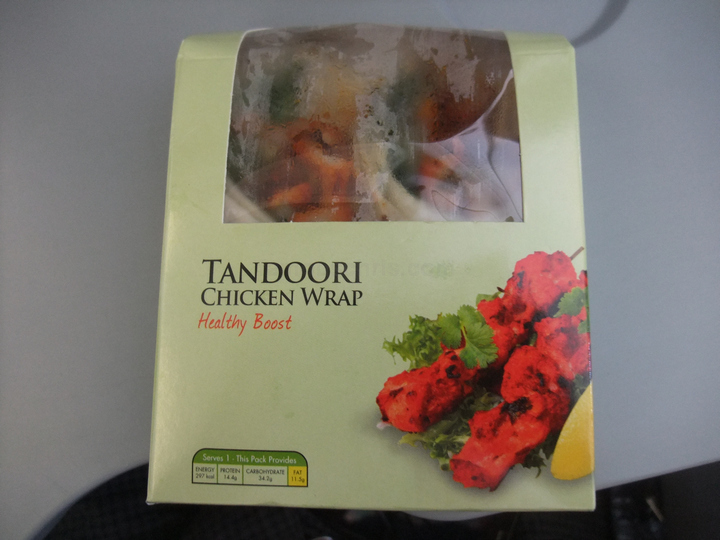 10.21 am – Gave tandoori chicken wrap a try. 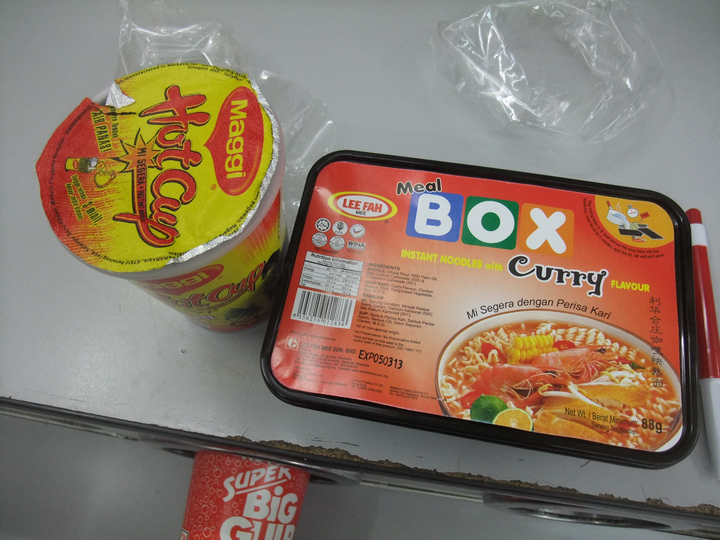 Hmmm… I must say I still like tuna better. 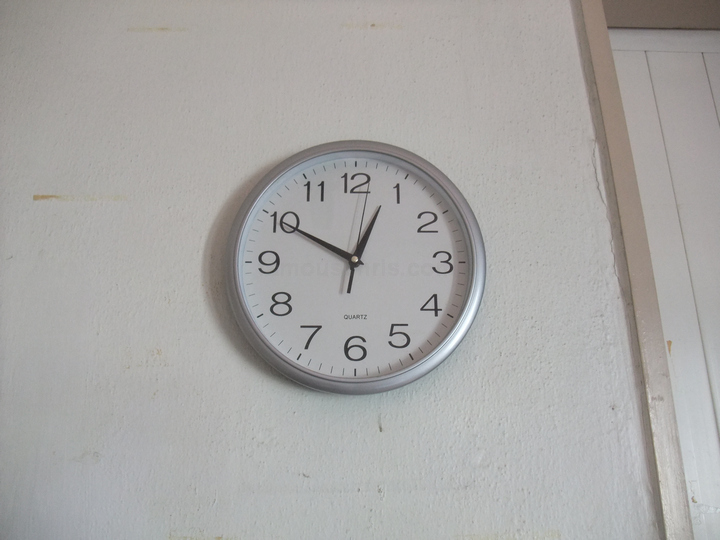 12.30 pm – At last, home sweet home!